Our in house fibre optic cable installation engineers have a wealth of experience in carrying out optical fibre cable installations, diagnostics and repairs in the Hampshire, Surrey and West Sussex areas. We supply and install fibre optic cabling for numerous purposes both internally for network backbones and externally for building to building links. Our longest installation so far is 2km underground but we are ready to tackle any size fibre optic cable project no matter how large or small. We are so confident that our MOD trained fibre engineers will install to the highest quality and performance levels that we offer a 25 year manufacturer backed warranty on all fibre optic installations. Our pre-sales technical engineers can assist you with the exact type of fibre optic cable to meet your requirements. This will be dictated by the distance and bandwidth required. So whether you need single mode or multimode connections we can help and advise so you get the right solution first time. Upgrading from a copper network to a fibre one can be quite expensive. Luckily, Portsmouth Communications Limited can offer a middle ground, FTTD, which is not only affordable, but also high performing. 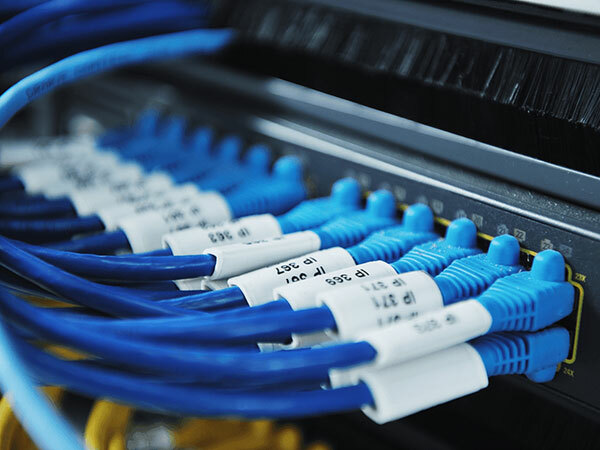 In a nutshell, this fibre installation service consists of endowing your workstations with fibre optic Internet from your copper-based network. The PCL team has worked on countless challenging single-mode fibre optic installation projects in the Portsmouth area. Why not speak to our Technical Team about the Fibre Optic Cabling solutions available. Prefer to talk to someone? Give our expert technical team a call and they will be happy to answer any and all of your fibre optic cabling related questions.